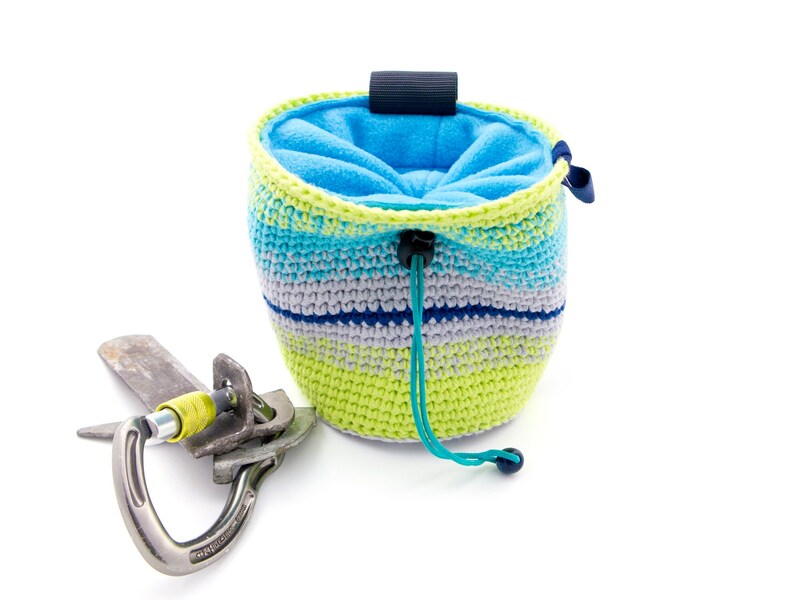 This handmade knitted cool chalk bag, that is the perfect rock climbing gift idea. 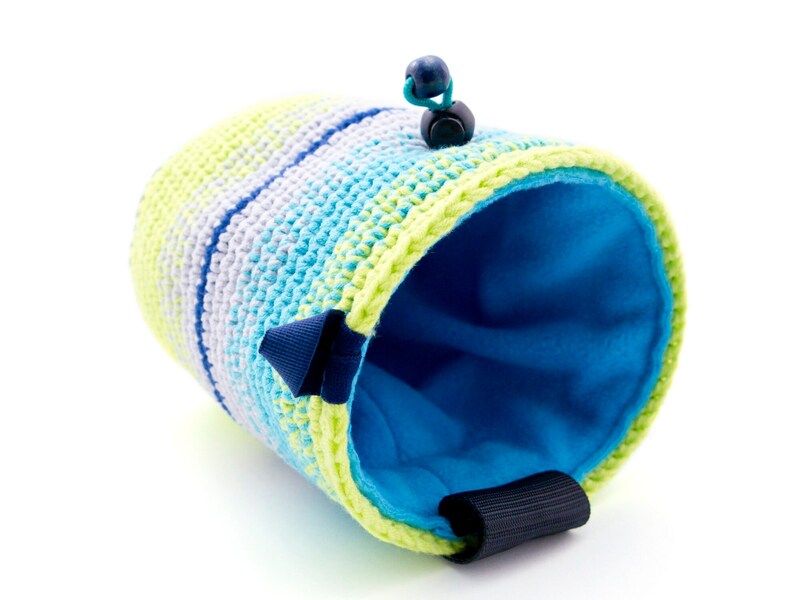 The chalkbag is in M size. 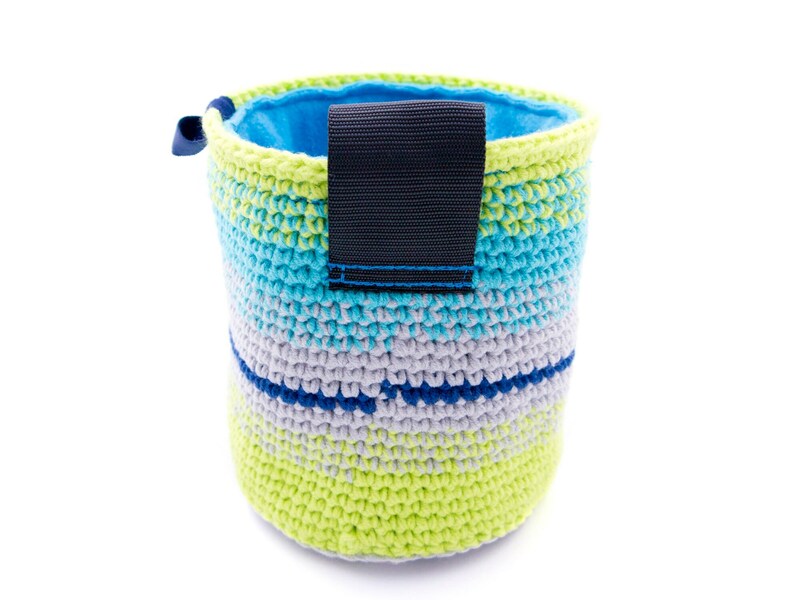 You can use it as bouldering bucket, indoor ot outdoor climb bag. 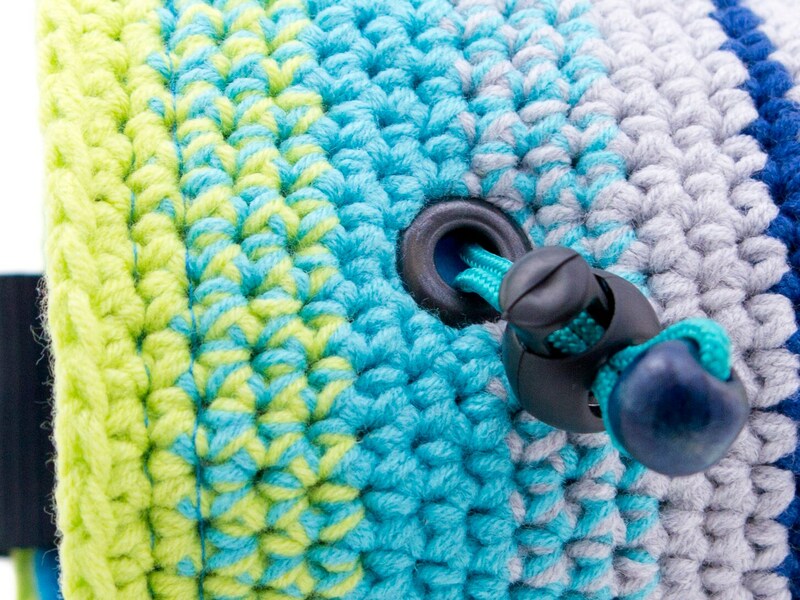 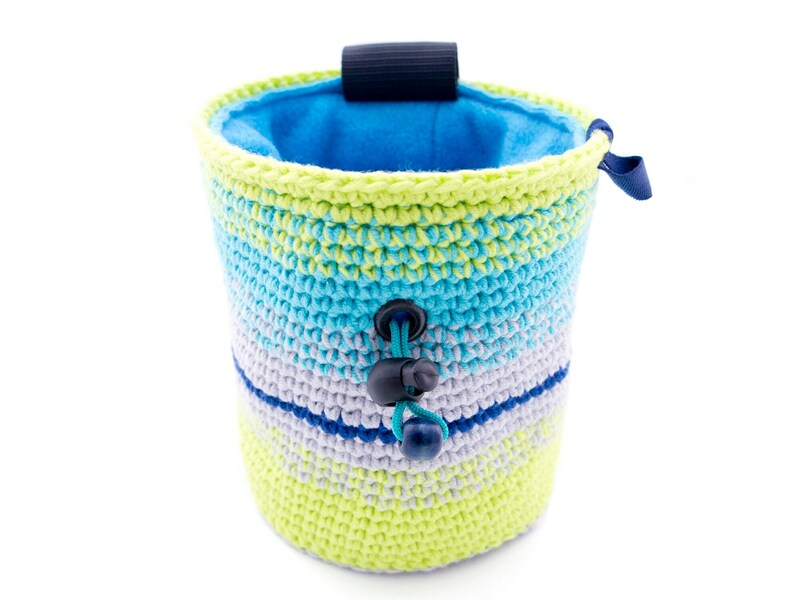 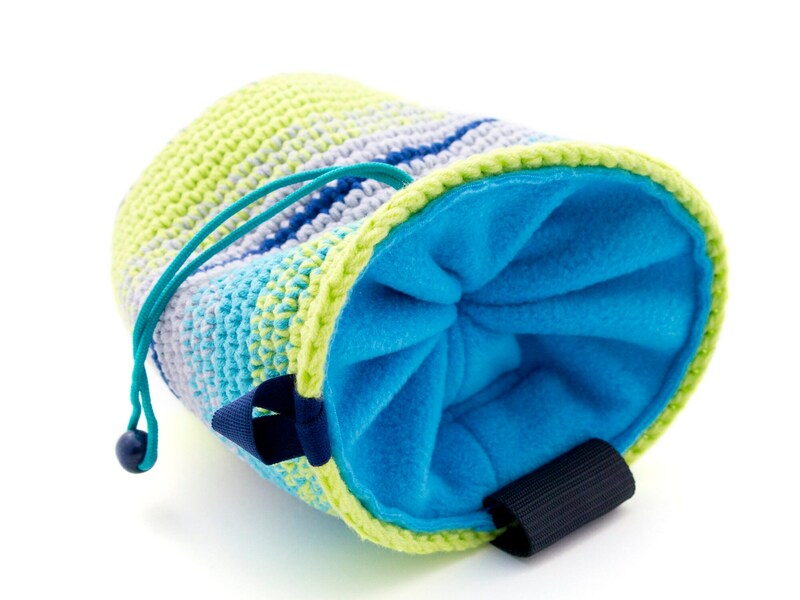 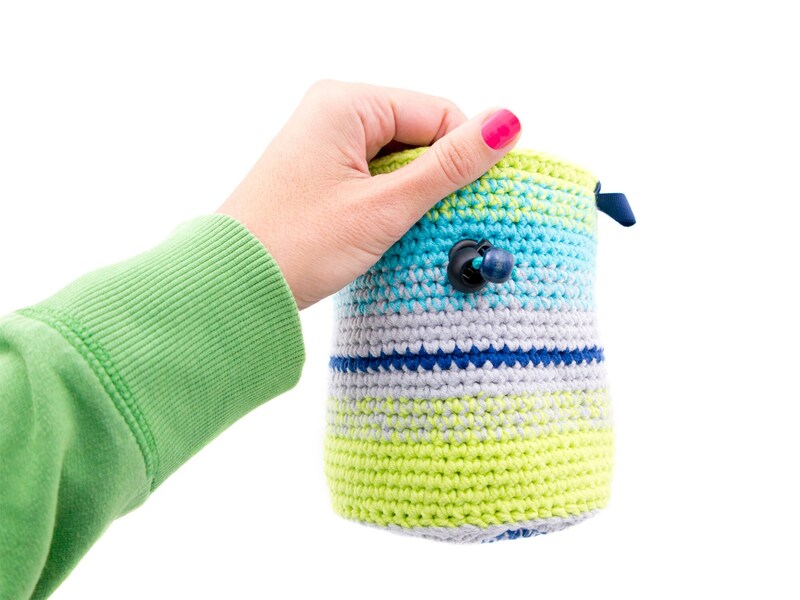 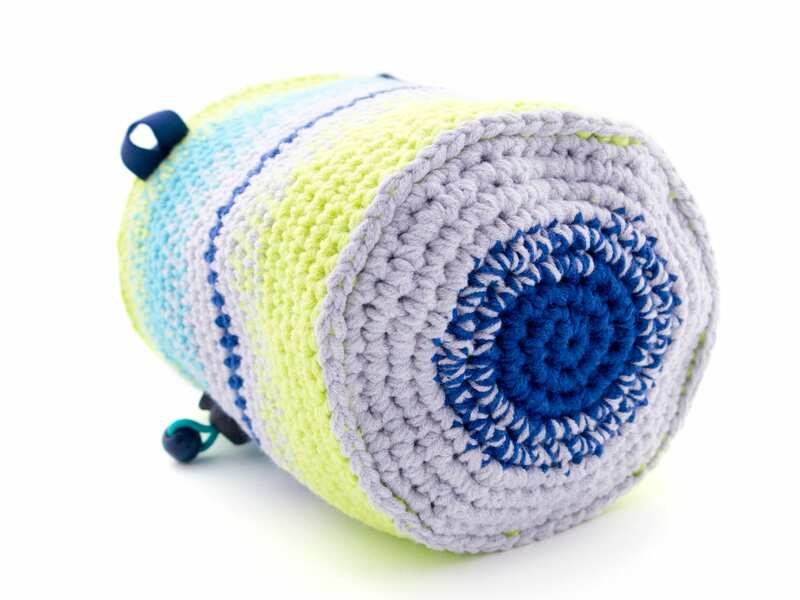 We crochet this climbing chalk bag of yarn in neon yellow, grey and blue colors. 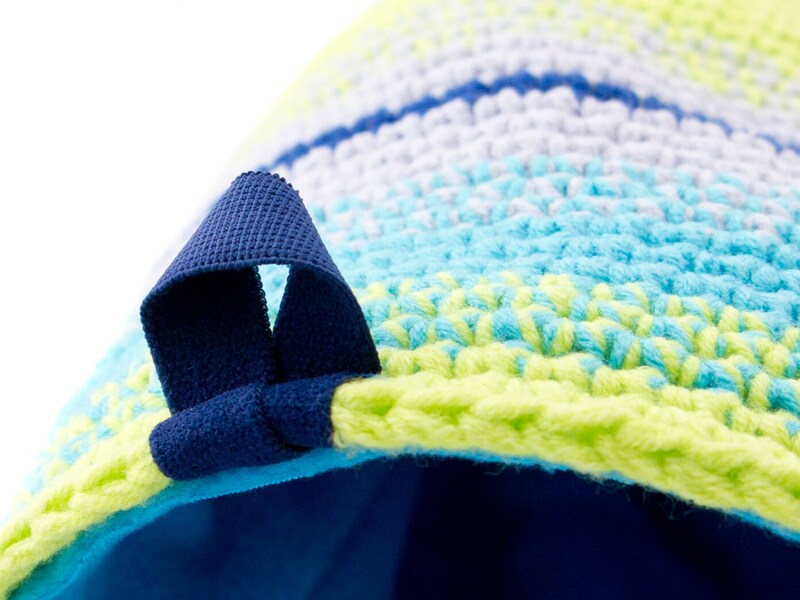 It is with a membrane layer under the fleece, and with wide opening. 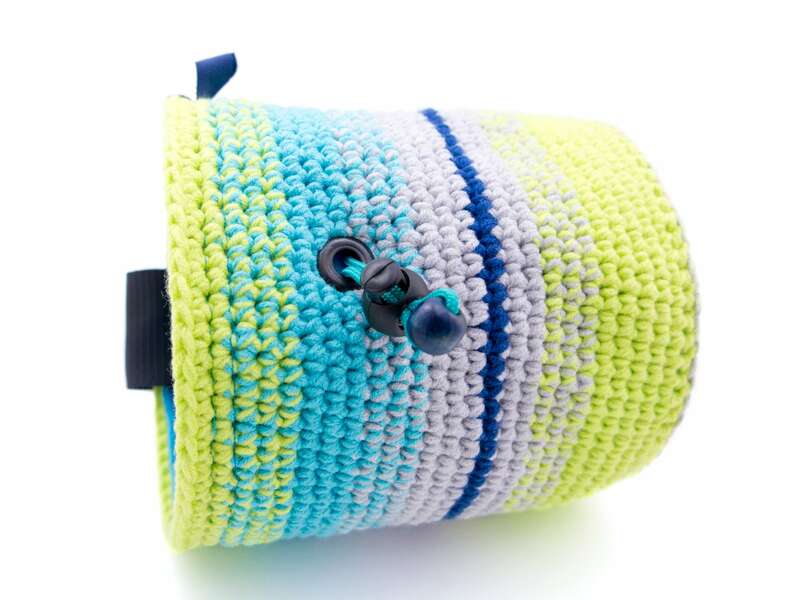 It closes very well with a paracord rope.